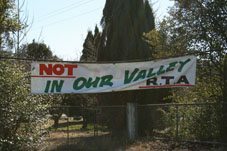 Building a four-lane highway through the Hartley Valley would do enormous and irreparable damage to this historic gateway to the west, it would desecrate a community and provide only a short-term solution. The Federal Infrastructure studies are planning to deliver international containers to Sydney from Bathurst by B-Double and similar large trucks. The number is expected to rise to 4,000 extra trucks per day, on top of the 10,000 vehicles that use the Great Western Highway at the moment. This translates into one vehicle every 6 seconds, day and night, with all its accompanying noise and pollution. It makes sense to remove this from the immediate vicinity of populated areas as often, and for as long, as possible. In a time of Climate Change and Peak Oil we should be relying on rail to move great quantities of goods from the West, and should be phasing out the RTA and its philosophy that vehicles are the best mode of transport. The Federal Government that is providing most of the funding should be concentrating our taxes on viable long-term transport options, not on now out-dated road programs. The Valley route, no matter where placed, would be longer (about 18 K), would require major engineering works at the descent down the escarpment, a major bridge over the River Lett, and extensive foundation works when crossing the alluvial soils of the valley floor. By comparison the Northern Route would be a level construction on a sound sandstone base at about half the cost. The possible corridors are so many that everyone would be affected. There is no hiding from this. We all need to take action to prevent this disaster. The extra cost in fuel to descend 140m into the Valley from the west (compared to the gentler Northern Route) and then to ascend 240m onto the plateau would cost more than $6 million a year, producing over 10,000 tons of additional C02. None of us need to suffer both the road and such waste. The best solution from many aspects is the Northern Route along the Causeway and Chifley Road and then across the Newnes Plateau to the Mudgee turnoff at Marangaroo. 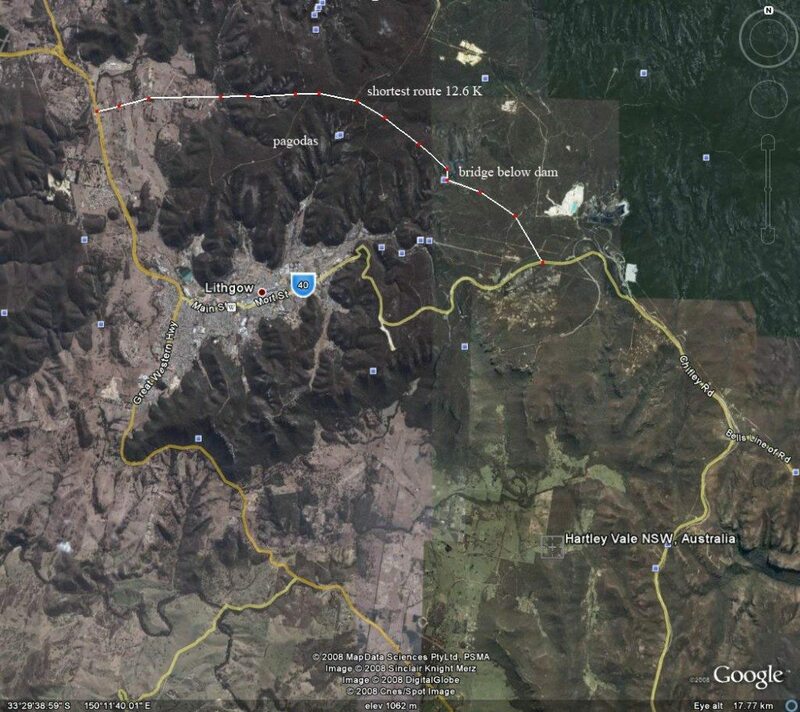 It by-passes Lithgow and avoid the savage grades and curves on both routes. It offers a choice at Bell for vehicles to travel either by the Great Western Highway or along Bells Line of Road. Instead of having to descend 240 meters from Mt Victoria into the valley and then ascend 140 meters at the western end beyond the River Lett Hill, the entire route is at the same level with a gradual descent of 120 meters at Marangaroo. Being in the midst of a Peak Oil crisis we would have to consider the fuel cost for vehicles being compelled to negotiate these inclines. The ascent to the plateau at Marangaroo is less in height (by 30 metres) and a better grade than the ascent from the floor of Hartley Valley to Forty Bends, so the northern route would completely eliminate the 240 metre ascent/descent into the valley, as well as the similar descent into Lithgow at Scenic Hill. Building a four-lane highway through the Hartley Valley would do enormous and irreparable damage to this historic gateway to the west, it would desecrate a community and provide only a short-term solution. There has been a continuous farming history here for almost 200 years, and we cannot imagine why anyone would want to interfere with this when there is a cheaper and more level route elsewhere that would do minimal environmental and cultural damage as well as being safer and cheaper to negotiate. This route involves only 12.6 kilometers of new road works compared to 19 kilometers through the Hartley Valley. It has no impact on the drainage into the Wollomi National Park as it lies on the south-west slopes, and does not impact on the Pagoda rock formations or the Lithgow water supply. This is a clean economical answer that is the best compromise solution to a very difficult problem.